Salmon and other fatty fish are rich in Omega-3 fatty acids; an essential nutrient need for the development of the central nervous system. Canned salmon and tuna are terrific options that are quick and easy for lunch. Blueberries high in antioxidants which can help product again free radical damage and inflammation. Meat, beans & soy – rich in iron, even mild iron deficiency anemia can affect cognitive ability. Nuts and seeds – rich in vitamin E which has been associated with less cognitive decline as you age. Tuna stuffed pita pocket – combine canned tuna with olive oil based mayonnaise for an extra boost of vitamin E.
Soy Beans make a fun snack. Nuts & Seeds – Almond butter & Banana sandwich. If your child’s schools does not allow nuts go for Sunflower seed butter or Soy butter as an alterative! Vegetarian chili prepared with a variety of beans. 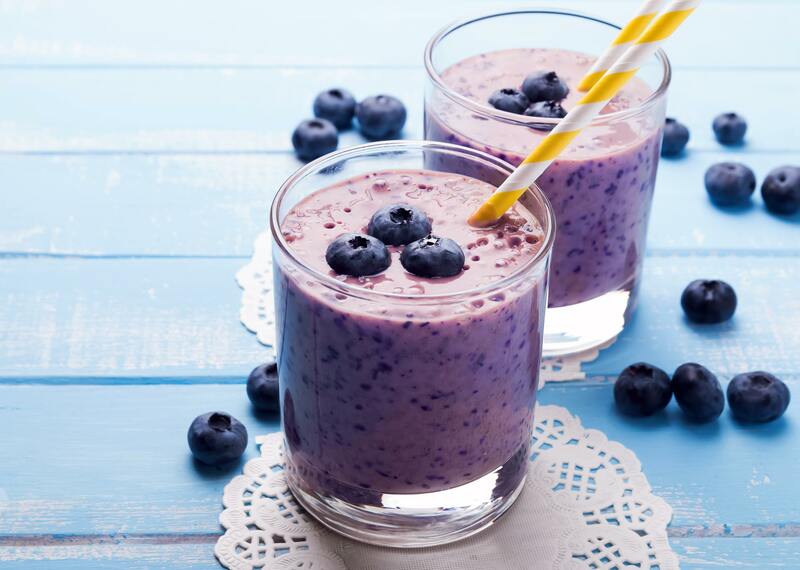 Berry Delicious Smoothie – a great option not only for later risers who can sip their smoothie on the way to school, makes a tasty and nutritious snack as well. Place all ingredients into a blender. Blend until smooth. Add milk if a thinner smoothie is desired.